Tata Hitachi has bagged the Best Seller award in both Crawler Excavator and Mini Excavator categories in the 3rd Annual Equipment India Awards held in New Delhi on 16th March 2016. 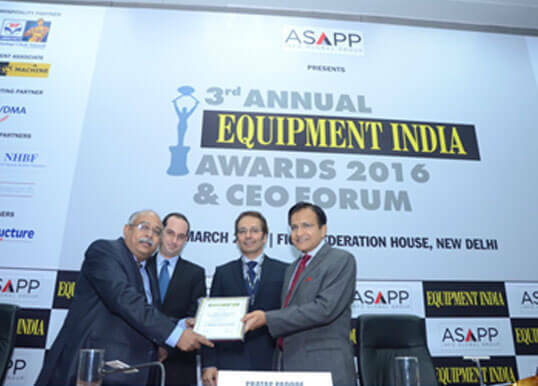 The award ceremony was organized by ASAPP Media group to recognize the key players of the Construction Equipment Industry in India. With more than 20 models to offer in the Hydraulic Excavators segment and with an introduction of all new Super series and GI series of Hydraulic Excavators, Tata Hitachi is confident of maintaining its leadership position in the market. 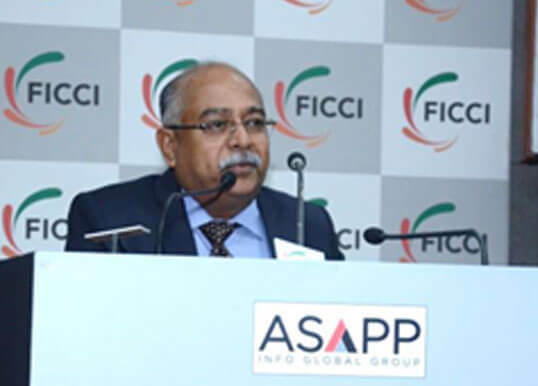 Mr. A Krishnakumar, Vice President (Sales & Marketing) receiving the award and addressing the audience.